We have Group 1, Group 2 and Group 3 testing levels (see Water Testing link just below) or we can customize testing to your needs depending on your specific situation and reason for having your water tested. It can be difficult to decide what type of test to have performed, however, we can assist you in determining which makes the most sense for you. The contaminants tested for under each of the three Groups are identified in detail at this link Water-Testing-Sheet–. Testing water from a private well will require more extensive testing than water coming from a municipal supply which has already undergone a certain level of testing. If you are selling your home with a private well, your town’s Board of Health, the buyer’s home inspector or bank may dictate what must be tested for. We will assist you in determining which Group testing is right for you. Once the lab results become available, we can analyze the report, review it with you and determine if any action is required. 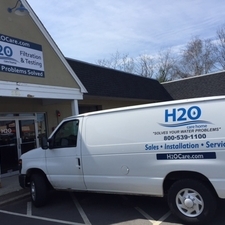 If a water filtration or water softening system is required, we can present your options and determine the most effective approach for you.